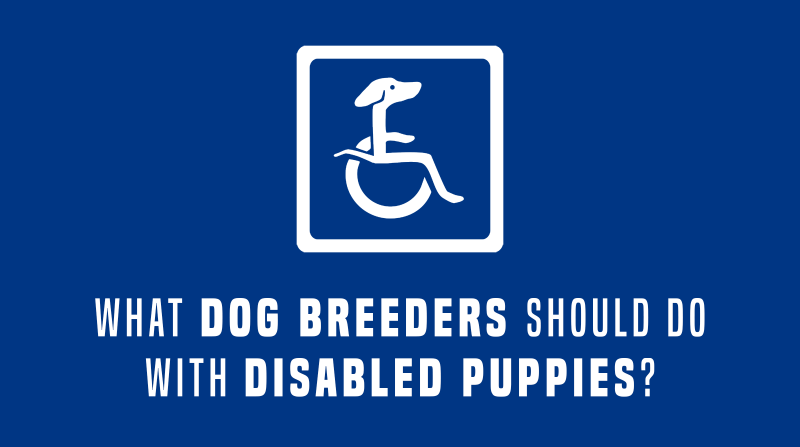 What Dog Breeders Should Do With A Disabled Puppy? 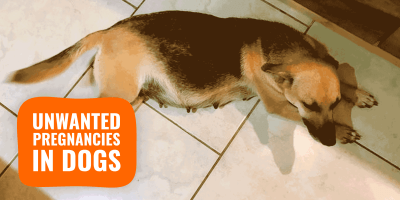 What Should Dog Breeders Do With A Disabled Puppy? One of the toughest decisions that a breeder must make is what to do when a newborn puppy has a disability. 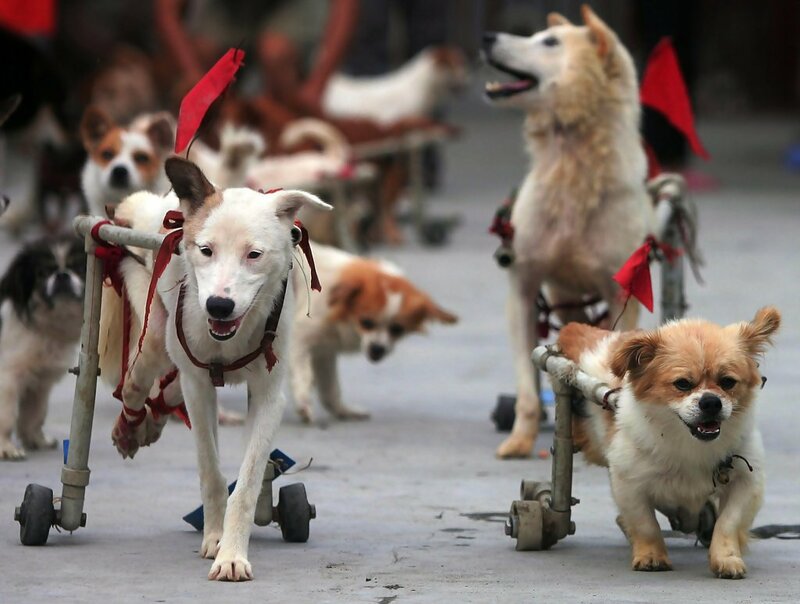 A disabled puppy faces two futures: to be put to sleep, or to be looked after and helped. 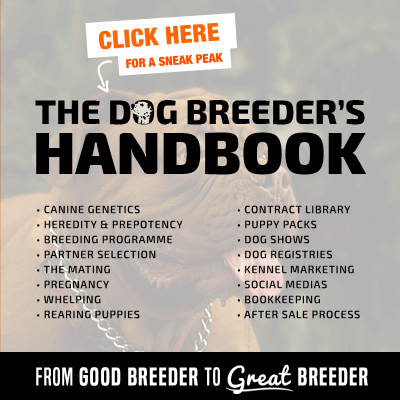 Even the most responsible breeder who does all the health tests imaginable can go through the experience of having a pup born with a disability and have to face making the decisions on what to do with the puppy. 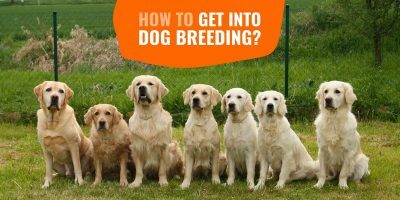 Their experience as a breeder will help them however it will ultimately be their veterinarian who will assist them with the final decision. Unfortunately there are some breeders who will immediately have a disabled puppy put to sleep without even considering whether or not the pup could lead a normal and happy life. The main question that will be asked will be what the pup’s quality of life would be when they’re grow older. Physical and mental health are what truly matter. One breeder said she would speak to her vet and the main discussion would be about the quality of life the puppy would have: basically whether or not the puppy would be able to lead a normal life. I have been using my veterinarian for over twenty years and trust his judgement when it comes to my animals. If there’s something that can be done to help the pup, we will do it. Money is no object if it means this pup will have a good life and be loved. There are breeders who have been breeding for several decades who will immediately cull a disabled puppy. Unfortunately they don’t see the point in spending thousands of pounds to make the pup better. Fortunately these people are few and far between. The majority of responsible, ethical and decent breeders will do everything they can for the pups that are born into their care. As far as they are concerned, these pups are part of the family, more than a commodity to be sold on for money. They will ensure that the pup is found the best home where he/she will thrive and be loved. Sadly, there are instances where nothing can be done and it’s best to put the pup to sleep. Again it all comes down to quality of life and whether or not the pup will be able to lead a relatively normal life with the least amount of pain. 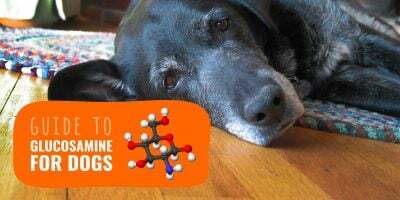 If you have a pup that’s going to be having surgeries for the rest of it’s life, you have to ask yourself whether or not it is in the best interests of the dog to be put through this. The term “Rule with your head, not your heart” is one I have heard a lot. As difficult as it may be, this pups life is ultimately in your hands and you have to decide what the best course of action is. When he was born, we were not sure if he would survive but our vet was fantastic. He gave us all the relevant information and help twenty four seven and we were able to watch this pup thrive. Rather than rehome him, we kept him and he has become a loving and firm member of the family. With the evolution of technology, health testing has become more available for dogs. 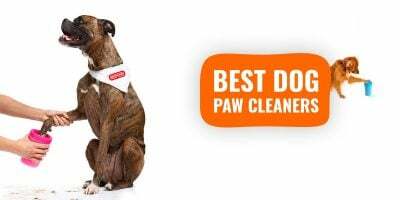 Breeds have lists of the health tests which are recommended for them. Unfortunately, not all health tests will prevent a puppy being born with a disability. Technology and inventions have also evolved for disability aids for dogs; there are so many products available as well as websites dedicated to these products, including but non-exclusive to handicappedpets.com and dogmobility.com. 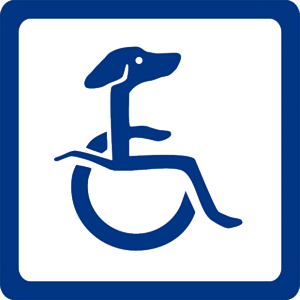 Other websites provide information and support for owners of disabled dogs. There are so many support networks for those who have disabled dogs where you can get information on helping your dogs. If faced with the prospect of a disabled puppy, the best advice is to speak to your vet and decide whether or not the pup will have a decent quality of life. 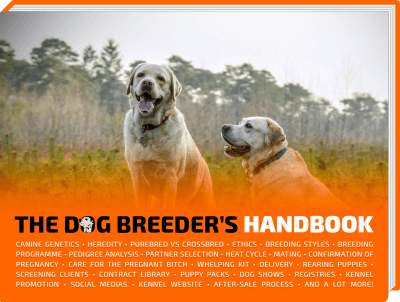 You could also speak to other breeders for help as they may have been through a similar issue. Building a network of professionals for such an occasion is a good idea and will help you with other problems you may come across in the future. Just because a pup is born with a disability doesn’t mean it can’t live a normal happy life. So many new innovations and veterinary treatments are being created every year to help dogs with certain disabilities and problems. There are also many support networks out there which can assist you in helping your dog through the difficult times. Thank you for your article and I agree with you. I am a breeder and had one litter that resulted in one puppy born without his right leg. I always health test and strive to breed healthy, good tempered and correct to our standard puppies. 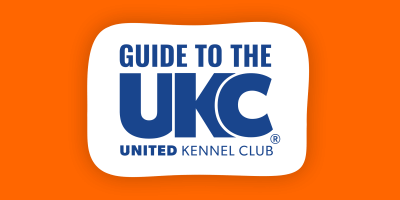 I have breed some of the top Australian Terrier’s in the country. The dam of this litter (who doesn’t reside with me) most likely was exposed to something toxic in her first 14 days of inception. She will never be bred again, nor her off-spring. There was never a question in my mind as to keeping this puppy or euthanize him, he was going to live! I just needed to help him a bit early on until he could help himself. Much to my surprise, I was criticized by some breeders for not euthanizing him. A couple breeders went on to suggest I shouldn’t have told anyone I had a puppy born this way. I found this to be not only shocking but very disappointing to know that some breeders would hide this from others. Yes, he needed a little help from me to nurse because it was difficult for him to balance while he nursed. Otherwise he did everything on his own. I had many people reach out to me hoping to adopt him but I couldn’t part with him as well as I was his breeder and he was my responsibility. My puppy is now three years old, his name is Sparrow and he is perfect just as he is. He can run and jump up on the couch and fly down the stairs, he can do everything the dogs with four legs can do. He also brings lots of joy to nursing homes and other special places he visits. I have just finished writing a children’s book titled Perfectly Sparrow that speaks to this topic specifically. I am pleased to know that most current day breeders think of breeding dogs not like farm animals we consume, but the loving companions that they were born to be. I have many youtube video’s published about Sparrow you can find under Dunham Lake Australian Terriers. I also have a website dedicated to Sparrow where you can see photo’s and read more about him at http://www.dunhamlakecaptainjacksparrow.com. While we all hope and plan that our future puppies are all born normal, I would never have made a different decision for Sparrow… he is amazing, has a great life and he doesn’t know he is any different ten my other dogs… except he is extra special to me. I’ve watched Sparrow from the day he was born, first via Theresa’s live “puppycam” and then through many posts, photos and videos. Theresa is one of my very few heroes and Sparrow is loved by many around the world.